ION Networks has grown into a major player in the Cable television industry. With a new line-up of programming in store for the fall, the ION team wanted to promote their new line-up to media outlets and to communicate their message of why ION should be an essential part of daily media. 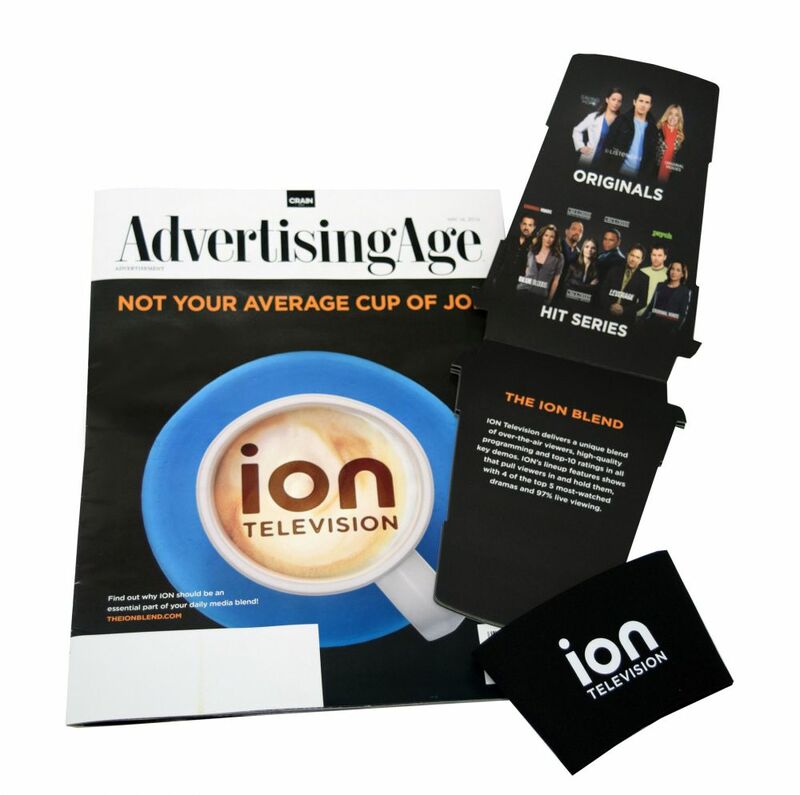 With so many networks vying for their share of programming, the ION team knew their campaign had to connect with its target audience on a personal level and create true brand recall. Americhip has had the privilege of working with the ION team on several campaigns including a simple foil material brochure, a 360 Dimensional Pop-Up Media Kit, and a 3D Stage Mailer that utilized Americhip’s Video in Print Technology. This time around, Americhip stepped up to help launch an ad campaign in Advertising Age magazine which included a unique promotional insert. The clever creative team at ION came up with a campaign centered around an item that most would relate to on a personal level – a cup of coffee. 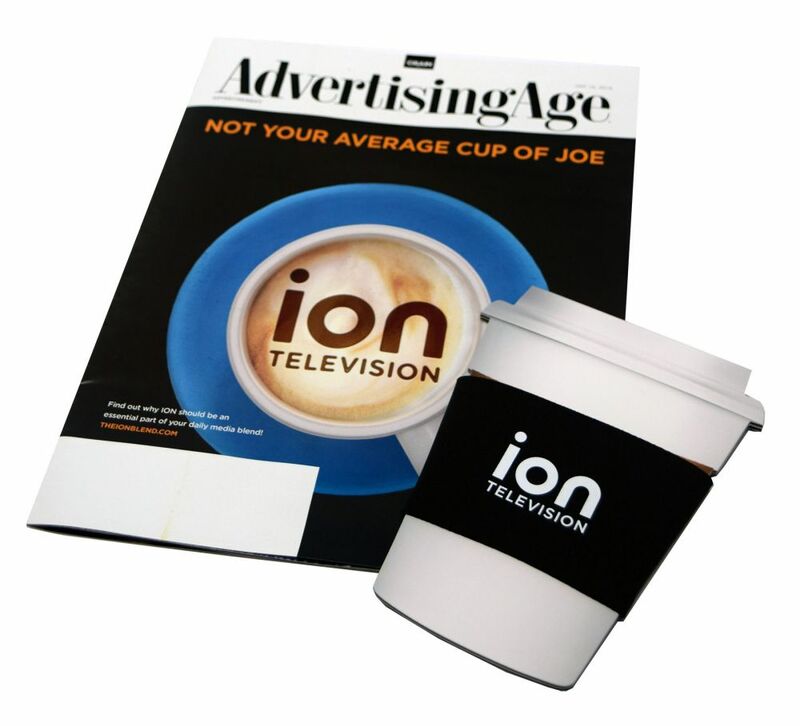 The ION team tasked Americhip with producing a custom mini-brochure designed in the shape of a coffee cup. The flip top brochure detailed the “blend” of programming, performance accolades, and unique viewer access that ION had to offer. The mini-brochure was constructed of soft touch hard stock paper that included a UV coated gloss. 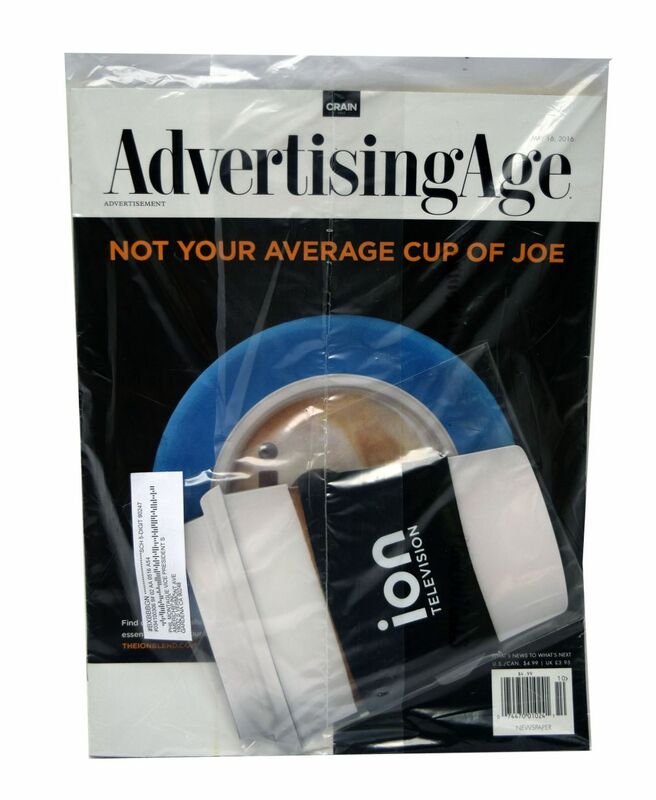 And in order to increase brand recall and pass along value, the coffee-cup brochure also had an actual neoprene coffee sleeve with ION branding. 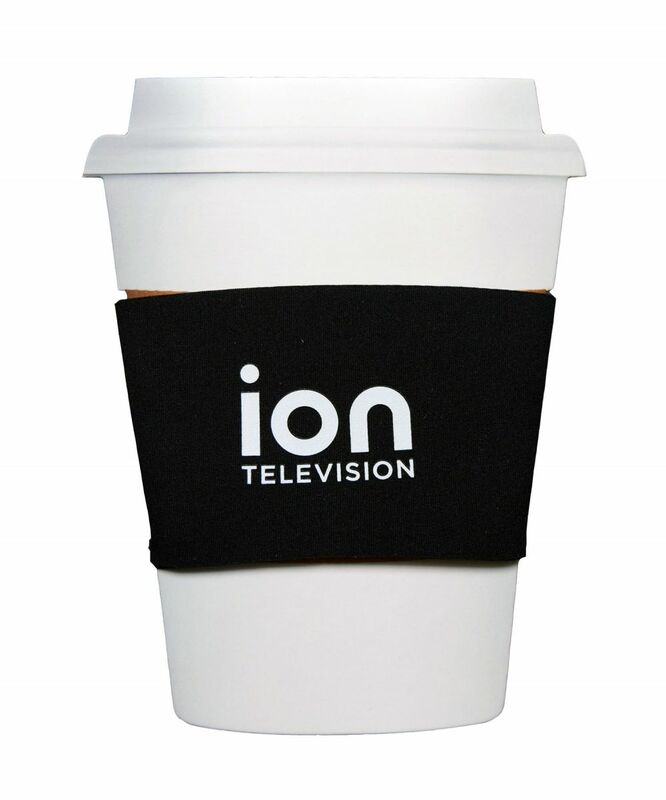 Now with Americhip’s Promotional merchandising expertise, ION had the promo piece that proved ION TELEVISION is “not your average cup of joe”. From simple yet smart promotional items to digital storytelling with Video in Print, Americhip has the capabilities to make your creative ideas come to life.